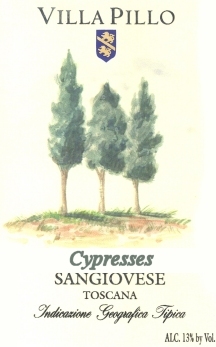 The 3 Cypresses, symbols of Toscana, give the name to the wine.The wine, 100% Sangiovese, comes from the selection of our best grapes and it reflects the traditional aroma and brilliant quality of Tuscan wines. The vines are trained on a vertical trellis to allow management of growing shoots and favour the development of colour and ripeness. 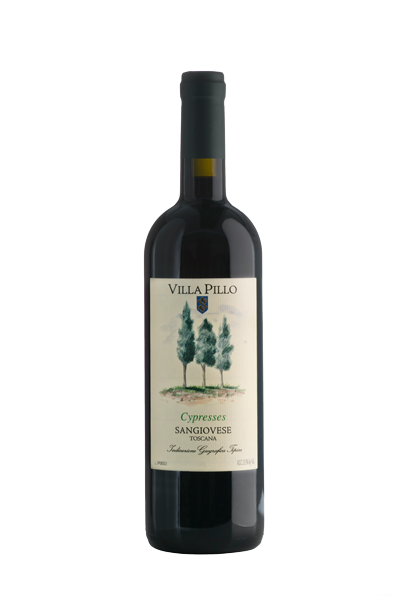 deep purple colour, with cherries and ripe fruits notes, balanced and medium body in the taste. Thanks to the big and smooth tannins, it is a wine of long ageing potential. We reccommend this wine with all kind of roats. Harvest: 02nd, 04th and 08th October. Age in oak: 12 months in new french tonneaux 7Hl.